Share "Rent Equipment for Corporate Picnics and Parties"
Corporate picnics and parties have long been a chance for professionals to unwind with their colleagues and break the monotony of the 9-5 grind. Don’t fool yourself though, corporate parties provide a big chance to make an impression. Everyone’s guard is down, the sun is shining, maybe there are some beverages helping to ease the week’s tension. 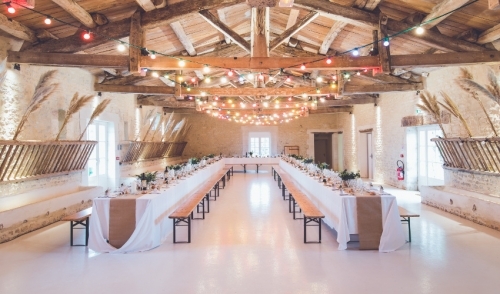 It’s the party planner’s job to make sure that the event facilitates this type of interaction and creates an atmosphere that is both casual and classy. It’s also a big chance for the party planner to prove his or her resourcefulness and creativity. All this points in one direction: your local rental store! You can save money and exceed expectations when you rent your party essentials. Many offices fall into the unfortunate habit of using the same decorations and activities again and again. They get bundled up in a box until the next birthday or holiday a few months later and then they are out again, adorning the cubicle or the office next door. Eventually they become a part of the office monotony that they intend to disrupt! Don’t take the easy way out! Surprise your boss and your colleagues by going for something unexpected…something better. You can rent everything down to the smallest detail. Tablecloths can class up and clean up a picnic. Tables and chairs can help minimize the standing and, therefore, minimize the amount of food you get on your shirt. Take a step up from plastic utensils and rent your flatware too. It helps you send the right message, and it’s more environmentally friendly. If you are planning an outdoor event, take Mother Nature’s fickle influence out of the picture by renting a tent. Knowing that you have shelter allows more freedom to plan details and generally adds structure to the entire occasion. Hopefully your event is not all business, in which case renting games and amusements is a great way to lighten the mood. Stop by your local rental center and ask the experts about the easy, inexpensive ways to add some spice to your company party this season. © 2019 Grand Rental of York. All rights reserved.